The new STA 449 F1 Jupiter® combines unlimited configuration flexibility and unmatched performance in just one instrument. 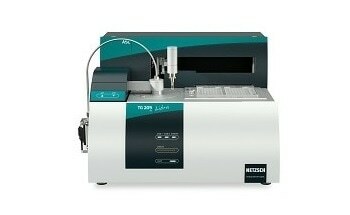 By supplementary MS-and/or FTIR-coupling even more comprehensive analyzes are possible. 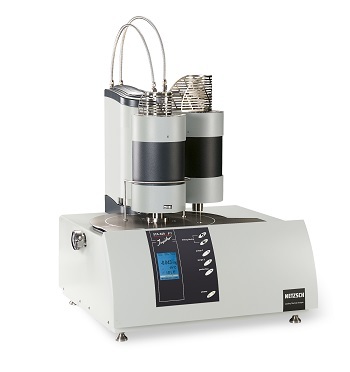 All these features make the new developed STA 449 F1 Jupiter® to the ideal tool for thermal analysis of materials in the fields of research, developments and quality assurance. 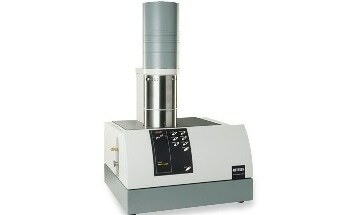 Cement, bricks and other building materials are known to be standard application fields for thermal analysis combined with mass spectroscopy. Cement raw materials largely contain calcium carbonate, gypsum, and other complex mixtures of ceramic components, but they can also consist of organic components. 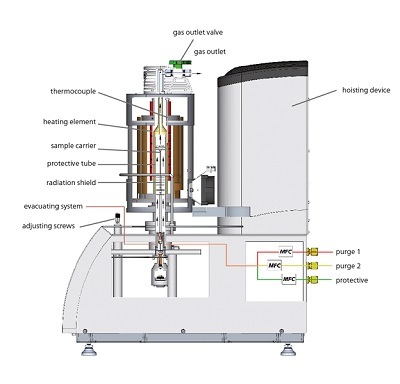 The combination of mass spectroscopy and thermal analysis helps in analyzing and measuring different components of the raw material, and also comes with a tool to simulate the production process of the subsequent building material. 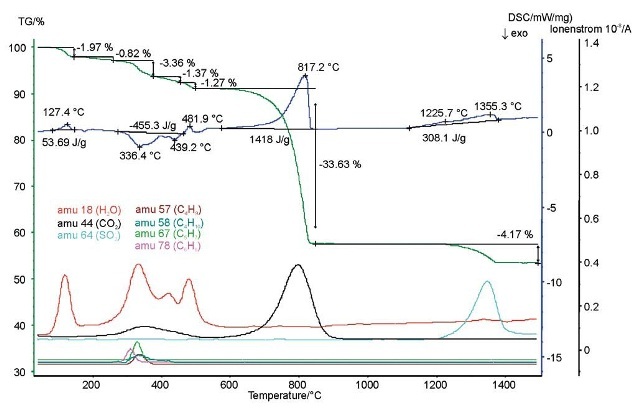 A cement raw material was analyzed using a combination of mass spectroscopy, differential scanning calorimetry (DSC), and thermogravimetry (tG). When heated to 1500°C, mass-loss steps and exothermal and endothermal effects were seen together. 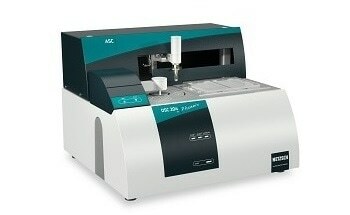 The signals from the mass spectrometer help in detecting the evolved gases as well as the mixtures of the cement raw material. Gypsum probably releases H2O at low temperatures and Ca(OH)2 at approximately 480°C. Organic components were partly decomposed and burned between 300°C and 400°C temperature. 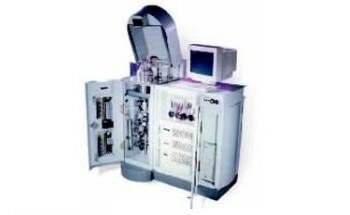 This can be concluded from the signals obtained from the mass spectrometer and also from the exothermal DSC peaks. At approximately 800°C, the evolvement of CO2 implies the decomposition of CaCO3 whereas the evolvement of SO2 implies the decomposition of CaS04 at maximum measuring temperatures.